Jonathan Adler is one of our favorite home stores. Everything is super expensive but very much our style. You can check out the review of our 2016 stay at the Parker Palm Springs (designed by Jonathan Adler) for more context. I received an email from them offering 20% off any purchase which is a pretty good deal in and of itself since it applies to everything - including furniture pieces that cost thousands of dollars. A couple of funny things about the offer. First, there is an expiration (it is ~10 days past) date on the offer but seems to still be working. Second, when I actually add an item to my cart and apply the offer it seems to be coding as 25% off. American Express has an Amex offer out for $50 off $250 in spend at Jonathan Adler. This offer showed up on nearly all of our Amex cards and we were able to add it to 7 of them for a total of $350 off $1250 in spend. In order to maximize this, you'd need to buy 7 separate gift cards which is annoying but I might just do it. In theory, you could buy a $1250 item for $588 after combing the promo code with the Amex offer. It would take a bit of work but you'd be saving nearly $700. If you are into Jonathan Adler, keep an eye on your email for a promo code and check your Amex offers! In the past year or so, Emily and I have picked up 6 Delta SkyMiles Amex cards. 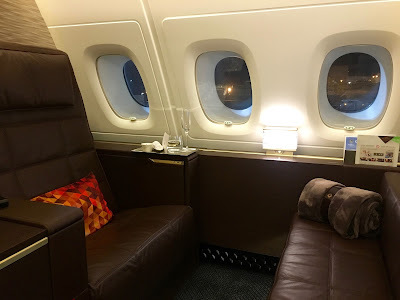 With the miles, I was able to book a roundtrip business class award to Seoul and we'll have north of 200,000 miles leftover for another trip in the future. All of the Delta Amex cards come with a Delta statement credit of sorts. 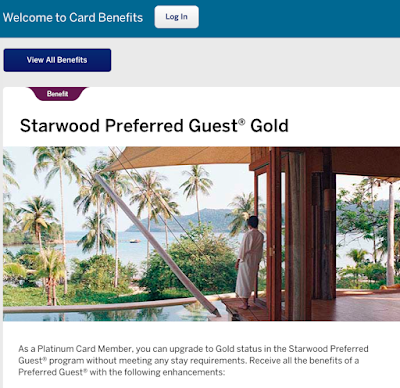 The Gold cards offer a $50 statement credit (first year annual fee waived) on a Delta purchase while the Platinum cards offer a $100 statement credit along with a $195 annual fee. I figured that I'd need to make a $50 or $100 purchase to trigger the credit in each case. I found out last week that I was wrong. For the past credits, I've bought gift cards which triggered the credit and then used them for Delta flights. So no big deal. Taxes and fees for my award ticket came to around $88. I put the charge on Emily's Platinum Delta card figuring the fees would be fully refunded and I'd find something in the future to trigger the remaining $12 credit. To my surprise, the entire $100 statement credit posted to the account. So if you don't value the statement credit as cash, buy something small on Delta (lowest gift card denomination is $50) and you'll get the entire statement credit. That makes this a moneymaker on the gold cards where the annual fee is waived for the first year. Wish I would have known this on card number one vs. six! Amex is out with two targeted offers for big savings with Verizon. First, 10% off a cell phone bill (could be any wireless carrier) up to $30 off ($300 in spend). But the good news is that you can double dip this Amex Offer with one of two targeted offers that I received. The first is $25 off $100 in spend with Verizon up to two times. The second, is 2,500 American Express Membership Rewards points on $100 in spend with Verizon. 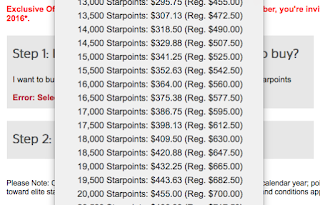 I value MR points around 2 cents each so this is like getting $50 back in addition to the 10% off. Both of the Verizon specific offers are good through 2/21/2017. Verizon will let you pre-pay up to $500 and I did just that to trigger several of these bonuses. I'll make another round of pre-payments in February to finish them off. In total, I will be putting $600 in Verizon spend on various Amex cards and receive 5,000 bonus MR points receive a $160 rebate on the payments. That's 40% off my cell phone bill! American Express has promoted Small Business Saturday for the past few years. They've provided statement credits for shopping at small businesses the Saturday after Thanksgiving. While this has been lucrative in the past, this year they're out with a bit of a different offer. 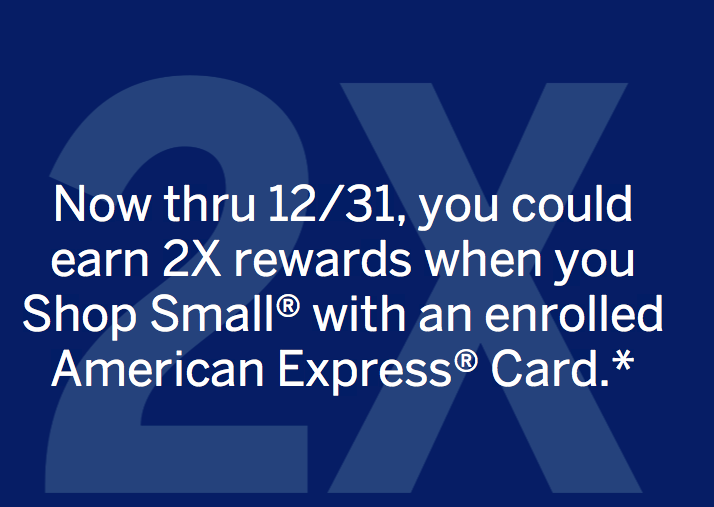 This year, you can earn 2x points/miles/cashback on small business purchases through 12/31/16. All cards are eligible although you do have to register individually which is a bit annoying. Per the T's and C's, bonus points should post within 12 weeks but in practice, I'm seeing the points post much faster. 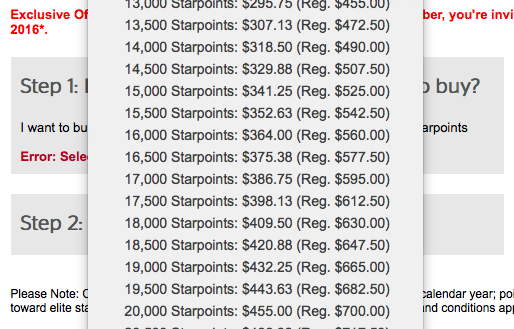 On Emily's Delta Gold Skymiles Amex, the points are posting the day after the transaction settled. So we're receiving the bonus miles essentially in real time vs. waiting for the statement to close. Max earning is 250,000 bonus points. I've already earned over 1,000 bonus points since the promotion started and will keep using my Amex at small businesses for the rest of 2016! Over the weekend, I wrote about upgrading Emily to SPG Gold via the American Express Platinum Business Card. 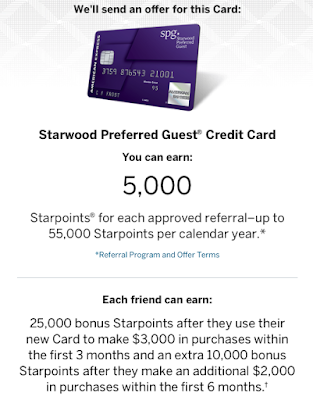 Kudos to Amex and Starwood for great IT here. Emily will be putting her newly minted Gold status to work later this year! One of the great benefits of the Amex Platinum card is the annual $200 airline incidental credit. This reduces the annual fee from $450 to $250 and in the first year, actually pays you back $50 since you'll get the credit twice (it's a calendar year credit) for one annual fee. That only works if you value airline fees as cash. You can go one step further and buy airline gift cards which are pretty darn close to as good as cash. But there's another way to actually get Amazon gift cards reimbursed if United is your selected airline. Wait, what? That's way closer to actual cash than airline gift cards for most people. I read about this trick in 2015 and was successfully used it earlier in the year. We picked up another Amex Platinum card earlier in the month and gave it another shot to see if the trick still works. I can confirm that it does! Emily's had the American Express Business Gold card for nearly a year. She met the minimum spend to earn 50,000 Membership Rewards points after spending $5,000 in 90 days. While the annual fee was waived for the first year, her card anniversary is coming up later this month. I logged in to her Amex account over the weekend to see if the fee had posted yet. I found this offer below in the "Offers" section. The offer provided 50,000 Membership Rewards points after upgrading to the Business Platinum card and spending $10,000 in the first 5 months. While $10K in 5 months is a lot, it's doable. So we basically have three options. Yes, $450 is not an insignificant annual fee. But for that fee, we'd earn a $200 airline credit in 2016 and in 2017. So that would reduce the out of pocket (valuing airline credit as cash) to $50. And after spending $10,000 over the next 5 months, we'd have an additional 60,000 Membership Rewards points. I value the bonus at near $1,000 so I'm leaning towards upgrading her account and working on the minimum spend. What do you guys think? If you've been reading ATRP, you know that I'm a huge fan of American Express Amex Offers. Over the last few years, I've saved over $2,000 by leveraging Amex Offers to obtain statement credits on stuff I was going to buy anyway. Amex is out with a targeted offer that will provide a $50 statement credit after spending $300 on airfare. There aren't any restrictions on airline and it seems that a gift card would work to trigger the credit. It's available through 10/31/16. I'm pretty confident I'll be purchasing a flight between now and then so will just wait until I actually need to make a purchase vs. the gift card route. 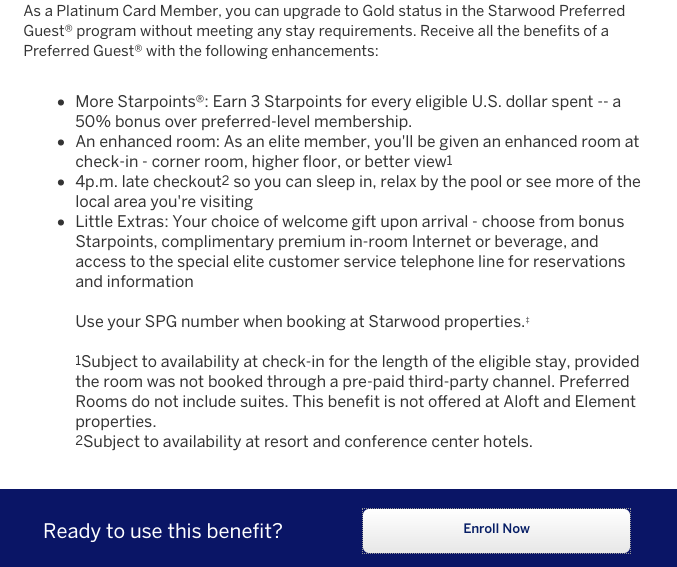 Note that I was able to add this to my SPG Amex but the offer was not available on Emily's account. $50 is $50. Most people will be purchasing some sort of airfare for travel between now and next October so definitely worth checking to see if you can save $50 on the purchase. 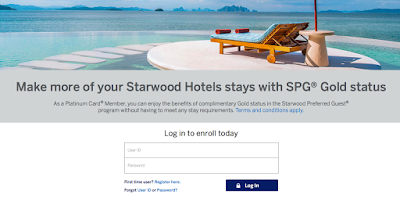 Starwood and American Express are offering 2,500 bonus SPG points for adding an authorized user to your personal (not available on the business version) SPG Amex card. This direct link should work. Login with your Amex credentials and you'll be taken to a screen where you can view the offer and input information for your authorized user. Unfortunately, I'm the only one in our household that currently has the card (have since 2004) but I've already taken advantage of the offer by adding Emily to my card. 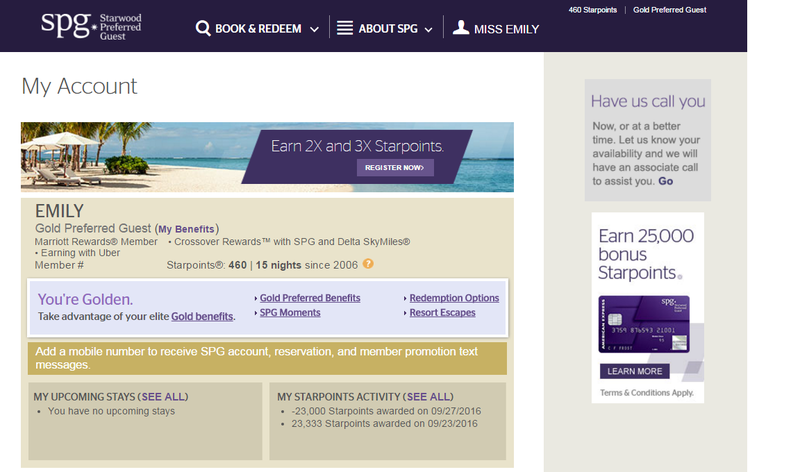 I value 2,500 SPG points at around $55. 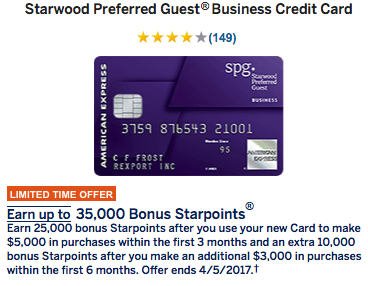 Keep in mind that 2,500 SPG points converts to ~3,100 airline miles so this is a strong offer for what amounts to 5 minutes of time. After a great couple of nights at the New York EDITION, it was time to head home. But first, a quick stop at the Centurion at LaGuardia. The lounge can be accessed with an American Express Platinum or Centurion card. Or by paying $50 and holding any other Amex card. The lounge is located on the 3rd floor of the B terminal (airside) and open from 5:30 AM to 8PM (limited hour on Saturday's). LaGuardia certainly isn't America's best airport but with this lounge and TSA PreCheck, the experience is a whole lot better. We spent 90 minutes in the lounge during this visit. There is plenty of seating, a bar, buffet, and restrooms. No shower rooms or massages but we tend to hangout in the quiet area (make a left once you enter the lounge) while planespotting, charging devices, and eating a bit. The staff is great and they tend to walk around and offer to refill drinks quite often. While the Dallas outpost tends to be the the best in the system, the LGA location dramatically improves the experience at the airport. I'm excited to checkout the Houston location next month. Kudos to Amex for building out such great lounges...hopefully they will continue to expand the system over the coming years. I've stayed loyal to United for the past 16 years given that I've lived in United hubs (Boulder then DC and now Denver) and they can generally get me to where I need to be nonstop. But without higher elite status (currently a lowly United Silver) it just doesn't matter all that much. I can essentially replicate Silver benefits with the United Explorer Visa card. So I have begun diversifying my paid travel based on schedule and price vs. solely based on carrier. As it relates to award travel, I've been playing the field for awhile. Since I'm generally flying in a premium cabin, elite status within a given alliance doesn't impact the experience. Despite that, I have yet to fly within the Skyteam (led by Delta) alliance during the last four years of heavy international travel. As of a month ago, I had less than 1,000 Delta SkyMiles in my account. One of the challenging things about applying for loads of credit cards is that eventually you start to run out of options. 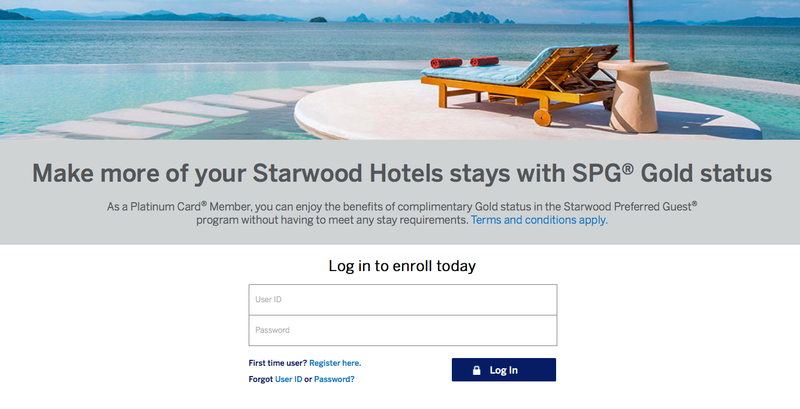 Amex has a "once in a lifetime" signup bonus restriction and Chase/Citi let you receive signup bonuses every 24 months. So when there is a compelling offer that I can take advantage of, I usually do. And that is why I am going big with Delta. American Express has opened their newest Centurion lounge in Houston. Mommy Points and View from the Wing both visited the lounge and have reviews and pictures. The Houston location compliments existing lounges in Seattle, San Francisco, Las Vegas, Dallas, Miami, and New York. It sounds like an LAX outpost is planned but nothing finalized yet. 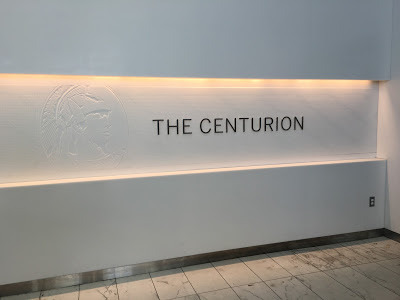 As a reminder, Centurion club lounge access is complimentary for Centurion and Platinum (business and personal) cardmembers. Other Amex cardmembers may access the lounge for $50 a day. The lounges are fantastic - among some of the best in the US. The Dallas location offers complimentary spa treatments, San Francisco has a wine tasting setup and the Vegas location is well...in Vegas. Sunday morning flights out of Vegas require lots of water and coffee and the Centurion is a great place to get both as well as relax before a flight. The Houston lounge is located in the D terminal (international) and sounds like it will be open from 5AM to 9PM. The lounge is just under 9,000 square feet which puts it about on part with the Dallas lounge. Both food and drink look fantastic. I have two planned Houston layovers later this summer so hope to have my own thoughts to share with you soon. 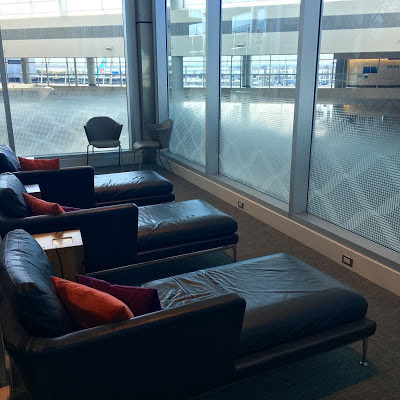 While American Express isn't expanding their footprint of these lounges as quickly as they once were, any expansion is good given the high quality of the lounges. Especially when compared to their domestic airline (United/Delta/American) counterparts. I'm not a regular Delta flyer but am working on diversifying my point balances a bit. In April, I was targeted for a 60,000 miles bonus after spending just $1,000 on the Gold SkyMiles Amex. The offer also came with a $50 statement credit for making a purchase on Delta. I bought a $50 gift card and resold for $40. Delta's out with referral program this year that offers 10,000 miles to the cardholder. 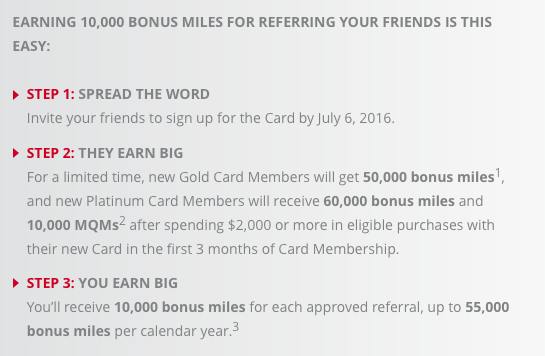 The bonus on the Gold SkyMiles card is 50,000 miles after spending $2,000 along with the $50 statement credit. If you're interested in applying for the card, I'd be most appreciative if you applied with this link. Note that the card comes with an annual fee of $95 which is waived for the first year. If you received the 60,000 mile offer, definitely go with that one but keep in mind the 50,000 mile referral offer is far better than the previous public offer of 30,000 miles. I'm assuming that buying a gift card will work. I've purchased one Whole Foods $100 physical gift card to see if it triggers the points. Amex clearly states that an online purchase will trigger the bonus so we'll see. I'll report back if that is indeed the case. I value 1,500 MR points around $30 so think of this as a 30% discount on groceries. Not bad. You can check your Amex offers on the mobile app by clicking on "offers" or in your card account online by scrolling to the bottom of the page and looking at your available offers. I've written extensively about the American Express SPG card. Amex also issues a business card version (which I currently hold) which offers most of the same benefits as the personal version. The business version also provides club access when staying at Sheraton properties which can be a useful benefit. While I'm content with my SPG Lifetime Gold status, when I was working on achieving Platinum status, the extra 2 stays/5 nights towards elite status were super helpful. Amex is currently offering an increased referral bonus (up from 5,000 points) of 10,000 points for each approved referral. That is a pretty outstanding deal considering a couple of referrals could net you a night at a St. Regis. 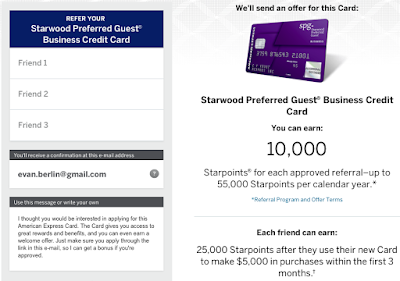 The referral offer is the same (25,000 points after spending $5,000 in the first 90 days) as the public offer for the cardmember. Keep in mind that you don't have to be a full time business owner to be approved for the card. You could be an eBay seller, a blogger, or do some consulting in addition to your full time job. I've found that American Express is fairly liberal with approvals on these business credit (vs. charge) cards. To see if you're eligible for the offer, login to your Amex account online and checkout your offers at the bottom of the page. If you are interested in a referral from me, feel free to drop me a line.